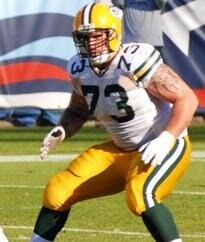 Daryn Wayne Colledge is a former American football offensive guard that played in the National Football League. He was selected in the second round of the 2006 NFL Draft by the Green Bay Packers and also played for the Arizona Cardinals and Miami Dolphins. He played college football for Boise State University.